I'm still busy, busy, busy working on Christmas stuff (like some yummy ornies that I'll show you tomorrow) that I almost forget about my 2012 calendar! You can grab yours here... and you can choose it with or without the vintage woodblock. They make excellent gifts and great stocking stuffers! I love what you do with you art. I have not made prints yet, but your inspiring! 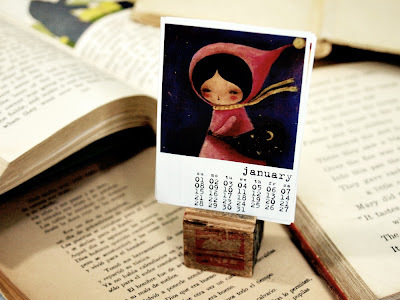 Oh my these little calendars are so adorable ** I love the little blocks they fit into. - I have a thing about calendars - properly 'cos I'm always ticking off dates. 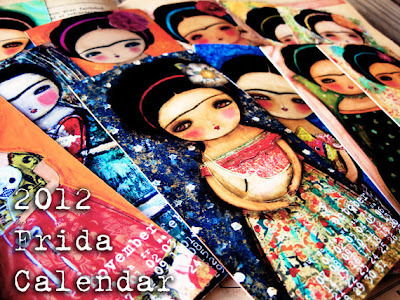 I love your art ... the calendar looks beautiful!